Stylo G has been involved in the UK underground scene since the age of 15 when he moved to the UK from Spanish Town, Jamaica. Son of the legendary dancehall artist Poison Chang, Stylo decided to follow in his father's footsteps, making his mark in the UK when Grime music was at its highest. In 2004 he released 'My Yout' featuring Ice Kid and Sickman and in 2008 he won the Crystal Blue awards 'song of the year' for 'Jamaicans in Britain'. 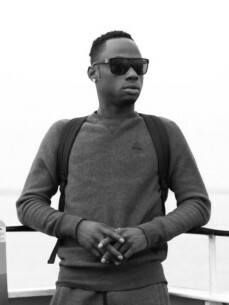 He has since developed the bridge between UK hip-hop and dancehall producing tracks; 'Leader', 'Blackberry' and 'Swagga Dem', and gaining key radio and live support. 2011 was an explosive year for Stylo G with the release of underground hit 'Call Mi a Yardie'. The single crossed continents receiving kudos and radio play as far afield as Japan and the USA. Stylo performed in BBC Radio 1's Live Lounge with Trevor Nelson and is a regular performer for Rinse FM DJ team / promoters The Heatwave.